Some time back I was traveling in one of our Awakula enume buses from Gayaza to town. Seated next to me was a woman probably in her mid-30’s and a man in his early 40’s. As the bus set off to Kampala, the man immediately started dozing. He seemed very tired and worn out and his only need was a shoulder to lean on and take a nap. Unfortunately, he was comfortable leaning on the lady passenger’s shoulder a thing she detested. She pushed him hard that he almost hit the window. Awakened from his slumber, he looked at her with pleading eyes but she cared less. Next thing I heard was a long msteeewwww someone would think she was trying to remove meat from her front teeth using her tongue. I thought that was her until when I boarded a taxi from town to Nansana and the same thing happened. This time it happened to a young primary school boy who was dozing in a back seat. 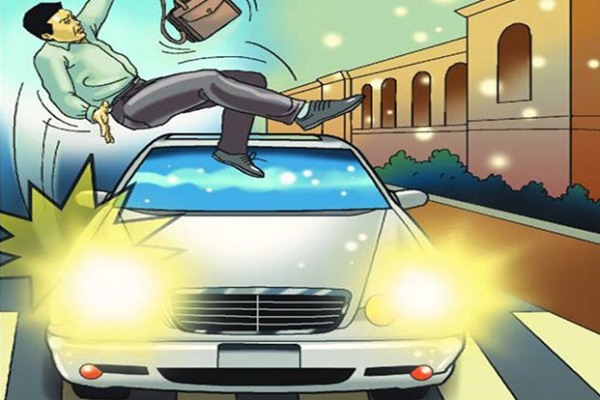 Luckily enough, he wasn’t jeered at because as soon his neighbor pushed him, he woke up and immediately alighted because he had reached his destination. Today, people cease to sympathize with others. Humanity is at its worst. You find a social media post of RIP with a million shares and likes and a save so and so campaign with 4 likes and two shares. Relatives will never hold meetings for your surgery but when you die, they are the first people to tell the world about your goodness and how everyone is going to miss you, they go as far as shedding crocodile tears on your demise, and they will find that 40k to transport your body that to spare 20k to help you meet your medical bills. A group of three fine men and two women came up front, introduced themselves as sons and daughters of the deceased and even had the audacity to announce their contribution for burial expenses which amounted to USD$1000 yet the deceased only needed about USD$ for medical bills. Is it because religious leaders today are more focused on change in power than change in hearts? Or it is because people’s hearts are tired and ‘for God and my stomach is the new motto’? ‘But if anyone has the world’s goods and sees his brother in need, yet closes his heart against him, how does God’s love abide in him? THE Prophet Muhammed described a SMILE as charity and we know a smile can take away grief and anxiety. Away from spirituality, wouldn’t you feel good if a stranger smiled at you like a long lost best friend, will you not feel empowered if someone succeeded after you made way for them?